Pitilogani Sunset. Pitigliano is located in Tuscany halfway from Florence and Rome, perched atop a volcanic tufa ridge. 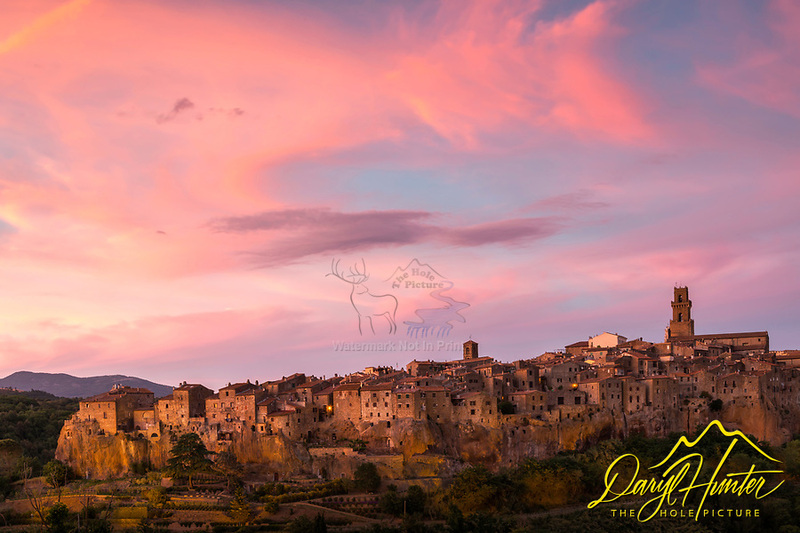 Its unmistakable skyline makes it stand out from kilometres away and gives Pitigliano a surreal charm. It is also known as Little Jerusalem (Piccola Gerusalemme) due to the long-standing presence of a Jewish community. Prior to this particular part of history, Pitigliano has an ancient past, with centuries of changes in civilizations and cultures.